Find hotel near Torre Di San Giovanni Di .. The strangest part of this tower is it was known by two different names in two different centuries. In 16th century, it was named as St. Michael’s tower and in 17th century, it was known as Torre di Mezzo. This tower played a significant position from the military point view. Wonder how? Well! The tower’s position allowed communication between Torre di Porta Terra (that exist at the entrance of the old city) and dell’Espero Rejal. Climb up the tower to get a nice view of the sea, especially after the sunset. Sometimes, the upper level of the tower holds painting exhibitions which you can take a look into. 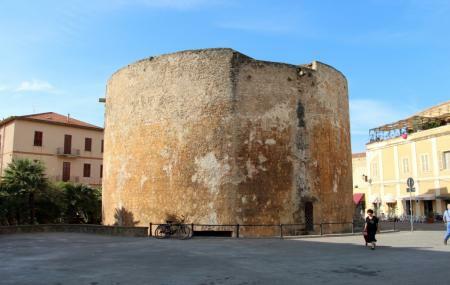 How popular is Torre Di San Giovanni Di Alghero? People normally club together Chiesa Di San Francesco and Torre Di Sulis while planning their visit to Torre Di San Giovanni Di Alghero.